Agrani Bank Officer (cash) exam result 2018. Agrani Bank MCQ exam seat plan. Senior Officer MCQ exam result. Agrani Bank ltd MCQ written exam result. Job Circular of Agrani Bank. Agrani Bank Career viva date. 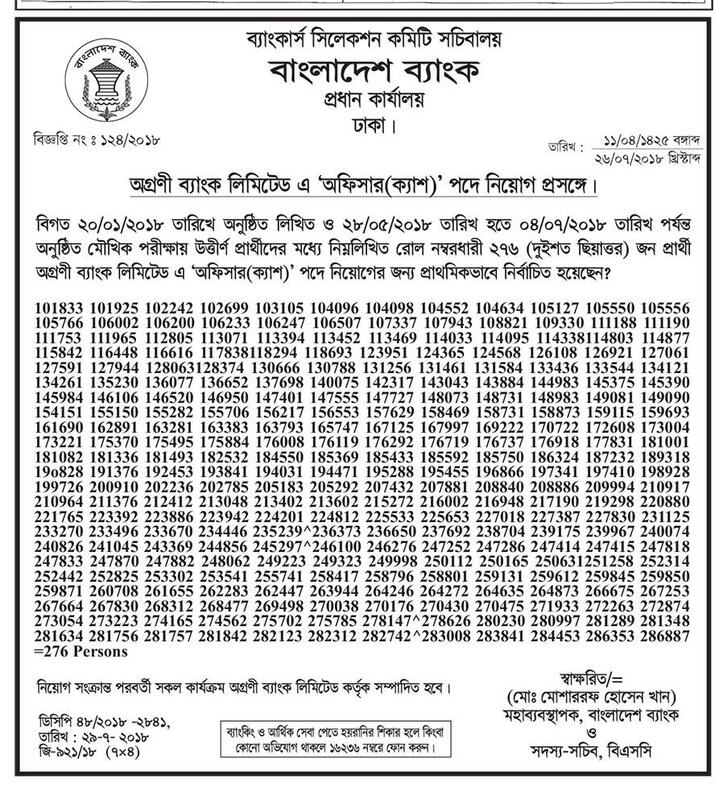 Admit card download. Officer Recruitment circular is not publish yet. Senior Officer written exam will be held July 14, 2017. Applicants have to apply online from www.erecruitment.bb.org.bd web site. Applicants age max 30 years as on 1/3/2016. More than 450 post available for recruitment. Agrani Bank job Application will be started on June 8, 2016 and last date of application 28th June 2016. Application fee Tk. 273/= only and have to pay by any branch. Applicants have to face MCQ exam and written test. They must pass both exam separately to get VIVA call. Exam date, admit card, written result will be available on www.agranibank.org officer, senior officer result. Agrani Bank has facilitated e-Recruitment System for online application. Candidates can fill up online application form by www.agranibank.eappsbd.com web portal. But they have to pay through bank branches.